In the year since Superstorm Sandy officials in New York, New Jersey, and Washington, DC have recognized that climate change has loaded the dice, increasing the risk of future disasters. The logical and important next step for both New York and New Jersey is to incorporate this understanding into their disaster preparedness plans, also known as State Hazard Mitigation Plans, which are the official state plans that assess natural disaster risks. These plans define the types of actions the state and local communities can take to protect against those risks and guide how government funds are spent on disaster preparedness and mitigation efforts. 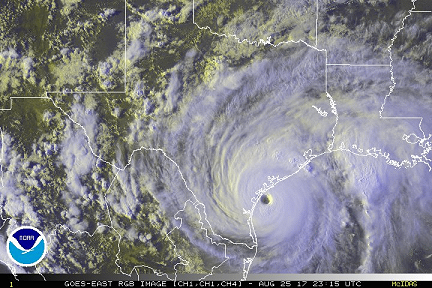 The plans are developed by states and must be approved by the Federal Emergency Management Agency (FEMA). 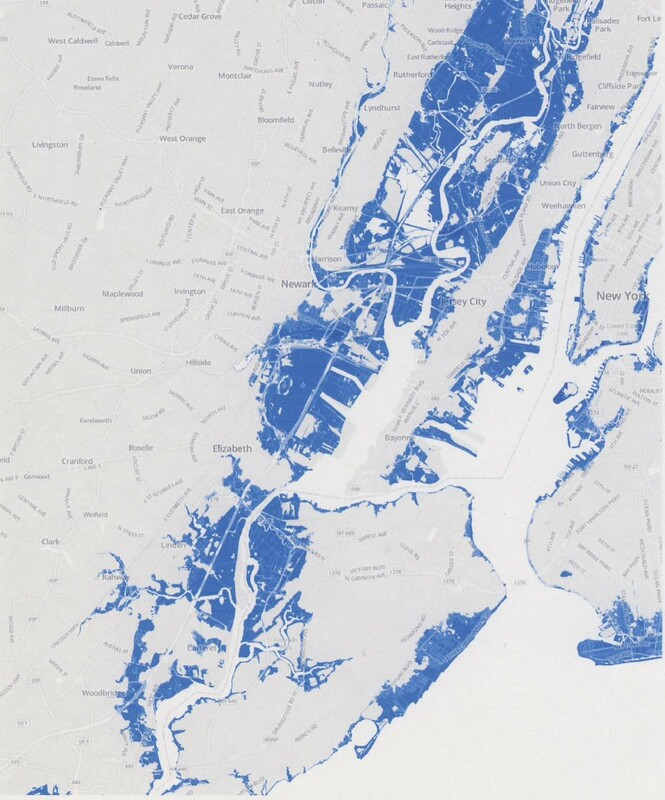 Both New York and New Jersey are expected to submit new plans for FEMA’s approval in 2014. Given New York’s and New Jersey’s experience with Sandy and the tremendous amount of information (see below for some examples) that already exists on how climate change potentially affects the future risks of natural disasters in both states, these states could set the standard for how climate change impacts are integrated into disaster preparedness plans. FEMA would be wise to seize this opportunity to work closely with New York and New Jersey to incorporate climate risks into their disaster preparedness plans. FEMA currently does not require states to assess climate risks in these plans, but plans to develop guidance in the future on how to do so. It could learn alot by working closely with New York and New Jersey and pass that experience on to the rest of the states. Doing so would be consistent with the strategy put forward by a federal task force for post-Sandy actions in August. And, most importantly, it would be consistent with President Obama’s Climate Action Plan, which included an agenda for climate preparedness, signaling that the time has come to start preparing for our climate future. New Jersey’s and New York’s most recent disaster preparedness plans were approved by FEMA in 2011, and in those plans both states acknowledged that climate change will have an impact on future natural disasters. But both plans stopped there. Neither state actually integrated climate change into their risk assessments or into the mitigation actions for flooding, extreme weather, or coastal impacts. Well, that was 2011, one year before Sandy. Now, one year after Sandy, both states seem in a prime position to incorporate a comprehensive assessment of climate risks into their official state disaster preparedness plans. It’s important for states to begin taking a hard look at the information climate scientists have been producing and integrating it into their preparedness plans. These plans are not theoretical “what-if” exercises. Once approved by FEMA, these plans guide how federal dollars are used by state and local governments for projects designed to mitigate and prepare for future natural disasters. For a state to make the best use of its disaster funding, it has to accurately assess its risks, and that includes those associated with climate change. And the risks to New York and New Jersey from climate change have been studied very carefully. Numerous studies have been done to look at how temperatures, precipitation patterns, and sea levels will change and how that might affect both states. One study in particular illustrates how serious the challenges ahead. 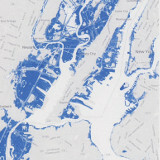 In September of this year, the National Oceanic and Atmospheric Administration published a report that found that flooding and storm surges similar to levels experienced in Sandy could strike the Battery in Lower Manhattan and Sandy Hook in New Jersey every 20-50 years, assuming sea level rise of 0.5m – 1.2m by the year 2100. If sea levels were to rise 2.0m, a similar level of flooding could happen every year or two by 2100. Imagine experiencing Sandy-like flooding every other year on average, and you get a sense of the challenges ahead. Preparing for impacts of this magnitude and frequency will not happen overnight, but it needs to start with recognizing the risks from climate change and planning accordingly. New Jersey and New York have the opportunity to develop precedent setting plans and the time to begin preparing for climate change is right now. This is part of a series of NRDC posts around the 1-year anniversary of Superstorm Sandy and a list of our top ten Post-Sandy recommendations. It is clear that by simple thinking, you must start where the problem originates. Which means simply stated reduce CO2 emission to levels one and a half century ago. Only planning for rising oceans is not going to help much on the long run. You’ll be planning forever, which is going to cost a lot more, and even with those plans disasters are going to happen and each time with increased force and more victims. Highly reliable and resilient energy infrastructure is the bedrock of our economy. Severe weather events are increasing in both frequency and intensity, and the toll they're taking on utility grids is rising, as well. One year after Hurricane Maria and Irma, Caribbean countries are still in a critical restoration period and boost their energy resiliency. BMR Energy's CEO Bruce Levy explains resliency doesn't rely on complex technology, but thorough due diligence.